A new scientific paper by a University of Maryland-led international team of distinguished scientists, including five members of the National Academies, argues that there are critical two-way feedbacks missing from current climate models that are used to inform environmental, climate, and economic policies. The most important inadequately-modeled variables are inequality, consumption, and population. In this research, the authors present extensive evidence of the need for a new paradigm of modeling that incorporates the feedbacks that the Earth System has on humans, and propose a framework for future modeling that would serve as a more realistic guide for policymaking and sustainable development. Twelve of the interdisciplinary team of 20 coauthors are from the University of Maryland, with multiple other universities (Northeastern University, Columbia University, George Mason University, Johns Hopkins University, and Brown University) and other institutions (Joint Global Change Research Institute, University Corporation for Atmospheric Research, the Institute for Global Environment and Society, Japan's RIKEN research institute, and NASA's Goddard Space Flight Center) also represented. The study explains that the Earth System (e.g., atmosphere, ocean, land, and biosphere) provides the Human System (e.g., humans and their production, distribution, and consumption) not only the sources of its inputs (e.g., water, energy, biomass, and materials) but also the sinks (e.g., atmosphere, oceans, rivers, lakes, and lands) that absorb and process its outputs (e.g., emissions, pollution, and other wastes). Titled "Modeling Sustainability: Population, Inequality, Consumption, and Bidirectional Coupling of the Earth and Human Systems", the paper describes how the rapid growth in resource use, land-use change, emissions, and pollution has made humanity the dominant driver of change in most of the Earth's natural systems, and how these changes, in turn, have critical feedback effects on humans with costly and serious consequences, including on human health and well-being, economic growth and development, and even human migration and societal conflict. However, the paper argues that these two-way interactions ("bidirectional coupling") are not included in the current models. The Oxford University Press's multidisciplinary journal National Science Review, which published the paper, has highlighted the work in its current issue, pointing out that "the rate of change of atmospheric concentrations of CO2, CH4, and N2O [the primary greenhouse gases] increased by over 700, 1000, and 300 times (respectively) in the period after the Green Revolution when compared to pre-industrial rates." See Figure 1 from the Highlights article, reproduced below. "Many datasets, for example, the data for the total concentration of atmospheric greenhouse gases, show that human population has been a strong driver of the total impact of humans on our planet Earth. This is seen particularly after the two major accelerating regime shifts: Industrial Revolution (~1750) and Green Revolution (~1950)" said Safa Motesharrei, UMD systems scientist and lead author of the paper. "For the most recent time, we show that the total impact has grown on average ~4 percent between 1950 and 2010, with almost equal contributions from population growth (~1.7 percent) and GDP per capita growth (~2.2 percent). This corresponds to a doubling of the total impact every ~17 years. This doubling of the impact is shockingly rapid." "However, these human impacts can only truly be understood within the context of economic inequality," pointed out political scientist and co-author Jorge Rivas of the Institute for Global Environment and Society. "The average per capita resource use in wealthy countries is 5 to 10 times higher than in developing countries, and the developed countries are responsible for over three quarters of cumulative greenhouse gas emissions from 1850 to 2000." University of Maryland geographer and co-author Klaus Hubacek added: "The disparity is even greater when inequality within countries is included. For example, about 50 percent of the world's people live on less than $3 per day, 75 percent on less than $8.50, and 90 percent on less than $23. One effect of this inequality is that the top 10 percent produce almost as much total carbon emissions as the bottom 90 percent combined." The study explains that increases in economic inequality, consumption per capita, and total population are all driving this rapid growth in human impact, but that the major scientific models of Earth-Human System interaction do not bidirectionally (interactively) couple Earth System Models with the primary Human System drivers of change such as demographics, inequality, economic growth, and migration. The researchers argue that current models instead generally use independent, external projections of those drivers. "This lack of two-way coupling makes current models likely to miss critical feedbacks in the combined Earth-Human system," said National Academy of Engineering member and co-author Eugenia Kalnay, a Distinguished University Professor of Atmospheric and Oceanic Science at the University of Maryland. "It would be like trying to predict El Niño with a sophisticated atmospheric model, but with the Sea Surface Temperatures taken from external, independent projections by, for example, the United Nations," said Kalnay. "Without including the real feedbacks, predictions for coupled systems cannot work; the model will get away from reality very quickly." "Ignoring this bidirectional coupling of the Earth and Human Systems can lead to missing something important, even decisive, for the fate of our planet and our species," said co-author Mark Cane, G. Unger Vetlesen Professor of Earth and Climate Sciences at Columbia University's Lamont-Doherty Earth Observatory, who recently won the Vetlesen Prize for creating the first coupled ocean-atmosphere model with feedbacks that successfully predicted El Niño. Co-author Matthias Ruth, Director and Professor at the School of Public Policy and Urban Affairs, Northeastern University, said: "The result of not dynamically modeling these critical Human-Earth System feedbacks would be that the environmental challenges humanity faces may be significantly underestimated. Moreover, there's no explicit role given to policies and investments to actively shape the course in which the dynamics unfold. Rather, as the models are designed now, any intervention—almost by definition—comes from the outside and is perceived as a cost. Such modeling, and the mindset that goes with it, leaves no room for creativity in solving some of the most pressing challenges." "The paper correctly highlights that other human stressors, not only the climate ones, are very important for long-term sustainability, including the need to reduce inequality'', said Carlos Nobre (not a co-author), one of the world's leading Earth System scientists, who recently won the prestigious Volvo Environment Prize in Sustainability for his role in understanding and protecting the Amazon. "Social and economic equality empowers societies to engage in sustainable pathways, which includes, by the way, not only the sustainable use of natural resources but also slowing down population growth, to actively diminish the human footprint on the environment." Michael Mann, Distinguished Professor and Director of the Earth System Science Center at Penn State University, who was not a co-author of the paper, commented: "We cannot separate the issues of population growth, resource consumption, the burning of fossil fuels, and climate risk. They are part of a coupled dynamical system, and, as the authors show, this has dire potential consequences for societal collapse. The implications couldn't be more profound." That's a really, really great image. I didn't read the article, i just had a look at this image. This image is enough. Have a look at https://upload.wi...2000.png In 1960 we had approximately 3 billion people. And now have a look at the image of this article. In 1960 all curves increase dramatically. That's one reason why i always write that we should try to reduce the human world population to 3 or 4 billion people. That's a really great image. Not sure if I have got the wrong end of the stick here but this sounds to me like criticism against current climate models that they don't incorporate things other than climate itself, such as economic, political, social factors etc. If that is so, then it isn't fair criticism because climate models are generally supposed to by definition be about modelling CLIMATE, and nothing else. I can see an obvious need to model the effects climate has on economic, political, social factors etc. But then such a model wouldn't be correctly describe as just a "climate model" but rather should be called something vaguely like a "climate-social-effects model", or something like that. That's one reason why i always write that we should try to reduce the human world population to 3 or 4 billion people. 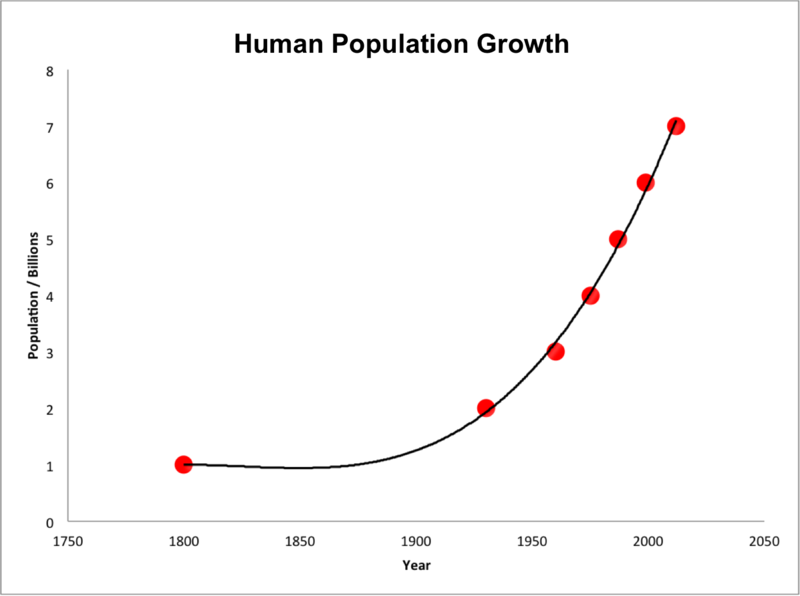 We will not only easily achieve this target of population reduction but go far beyond that target in the coming next world war, no problem. Then it should take only a few hundred years for the biosphere to fully recover from the radioactive hell and other effects so I shouldn't worry about it. I really hope that we can reach 3 or 4 billion people without a world war. Maybe you know this famous quote of Einstein: 'I know not with what weapons World War III will be fought, but World War IV will be fought with sticks and stones.' This would be really terrible. I don't want this. Instead i hope that we will soon be able to travel to other planets. Non of the models work in the past? so how can they work in the future? Most climate models have worked in the past. They predicted the temperature would increase and it has. So in what sense did they not "work"? Only the few that failed to predict a temperature increase that we observe can really be clearly labelled as failed models. "Most climate models have worked in the past. They predicted the temperature would increase and it has. So in what sense did they not "work"?" Well to the extent that they have "Predicted" what has been going on for the last 18,000 years you are correct. Most climate models have over estimated the temperature increases and have failed to predict a not insignificant 20 year pause. The prediction errors increase with every year that goes by. The models are not very good. I've made the same criticism before: the climate models aren't falsifiable because there's no way to test their validity without taking into account the human element. If you make a prediction now, and wait 30-40 years to see if it comes true, you don't know whether it was because of the climate or the people, especially when the people start to do stuff in reaction to your prediction which changes the outcome. So you're running on models that are never really validated and verified. It's crazy to claim that people are the main driver of climate change, and then model climate change without taking into account the people. That then leads to "solutions" with equal disregard of the people, like setting up authoritarian systems to cut emissions without regard to the social impact. "CERN found that the climate modelers totally failed to understand the interaction of electrically charged cloud particles created by the cosmic rays,"
" CERN's lead author, Ken Carslaw, said in the CERN Courier (December 2016) that all the projections of the climate models should thus be revised downward. " A significant fraction of nucleation involves ions, but the relatively weak dependence on ion concentrations indicates that for the processes studied variations in cosmic ray intensity do not significantly affect climate via nucleation in the present-day atmosphere. It's interesting to note that Kenneth Carslaw is one of the authors of that paper - so he agrees that cosmic rays don't significantly affect the climate. Already, results from CLOUD suggest that estimates of high climate sensitivity may have to be revised downwards. So the "American Thinker" quote was completely made up. And since models tend to suggest that climate sensitivity is ~3C, far from the high climate sensitivities that have been suggested, this seems to have little, if anything, to do with climate models. So why does "American Thinker" publish such easily checked fake news (and why didn't you check it)? Is fake news all that they publish? Why would anyone read such nonsense? Do you like being lied to? "UN: Sea Ice In Both Arctic, Antarctic Hits Record Low"
Well to the extent that they have "Predicted" what has been going on for the last 18,000 years you are correct. .
NO, I am referring to when they made a prediction BEFORE we observed what they predicted and we observe their prediction to be correct. Must climate models for climate change up to the present have correctly predicted a temperature increase and NOW, not before the prediction, we have observed that temperature increase, thus vindicating the models. Yes, this is definitely needed. Read inequality as wealth inequality, where wealth is the old definition of well-being, not money. Coupling economic models to climate models is definitely needed. But to me wealth inequality is not a driver, it is a consequence. Also, we need to couple the health of the environment and the ecology into the model - ie - population goes up, drought means more land is changed from supporting the wild to supporting humans, or is degraded to the point it can't support either. A question to ScienceX moderators. - "provide an intelligent counterpoint to our articles". - "Comments that will be deleted include ... pseudoscience theories". So, how comments promoting fake news are intelligent counterpoint in any way or even pass the moderation process since it is clearly pseudoscience ? At best it just makes reading comments and publishing useful comments a loss of time. Maybe having an approach closer to the one used in Skeptical Science would be a good option. Live moderation has a big part to play in education and immunisation. But to me wealth inequality is not a driver, it is a consequence. @RichManJoe - Can you please develop your idea. It seems to me that wealth (or any other variable for that matter) is both a cause and an effect (consequence) at different degrees. That obviously isn't the same criticism and you are not making any sense whatsoever. If some climate scientists said 10 years ago that the average global temperature will increase in 10 years time and now we see whether it has indeed gone up, how can that not be falsifiable? + your words "if it comes true" after your words "climate models aren't falsifiable" shows you don't know what the word "falsifiable" means because it isn't about observing "if it comes TRUE" but rather FALSE! the word "falsifiable" means, if hypothetically it was false, it can be shown to be false, NOT if hypothetically it was true, it can be shown to be true; the latter not being "falsifiable" but rather "verifiable", which isn't the same thing at all. "The problem stems from not knowing how cloudy the world was before the industrial era, and the fact that some of the gases produced by burning fossil fuels said to warm the plant in the long-term, actually help cool it in the short-term through cloud formation." Meh, climate models that don't show warming are falsified. The climate models that aren't falsified show warming. That's because there's warming. This is duh. Complaining that "climate models aren't falsifiable" is silliness. Typical @Eikka inside out reasoning. They worked, generally, but not as accurately as needed to define policy changes of any sort. Scholarly input from a scientist at CERN (no less) is pseudoscience? I seem to recall that JW Forrester, Forrester and Meadows, Meadows and Meadows included these "missing" factors in their World Dynamics and later models. I can say for example, that tomorrow is going to be sunny and + 10 degrees. If that happens to be so, can I call myself a weather prophet for just guessing it right? Of course not. Same thing here: the value of a model is in its ability to provide a detailed description of the event and predict what's going to happen. Simply saying the temperature went up is not enough to validate it - if you don't know why it is doing so. Since we're ignoring major causes and effects, we can't tell what part of the chance was expained by the model and what part by the ignored unknowns, so we can't tell whether the model got it right. What I mean by falsifiable here is that we can't tell if the model is wrong. A wrong model can still create a right prediction, but for the wrong reasons. A model can say "the temperature goes up because of pixies", and lo the temperature did go up, so are pixies to blame? Falsifiability in this case means the ability to show that there were no pixies, or if there were pixies that they had little effect. So with the current models, suppose people also decide to start seeding the air with sulfur dioxide to alter the climate. When the results finally come in, how do you tell how much of it was because of the SO2 and how much because of the effects in your model? You don't. The experiment has been tampered with. So when you have such an input to a climate model, you're actually playing the game of texas sharpshooter: whatever the real climate will do, it can still fit within your variable range and you can "validate" the model by tweaking the weights of the different factors. That means you're always correct: you just blast a shotgun at the barn door, find the best group and paint the target around that. Yes, the fact that he didn't say this suggests to me that this is pseudoscience. He said that "estimates of high climate sensitivity may have to be revised downwards." Now, the range for climate sensitivity is normally given as 2C - 4.5C, with the odds on favorite being ~3C. Many lines of evidence (not just models) suggest that ~3C is correct. Now does he mean that the high end is < 4.5C? Possible, but recent studies have indicated that the correct value may be > 4.5C. So maybe he just means that those studies are wrong. My view of his quote is that he thinks the range of likely values is tighter than 2C - 4.5C. But nothing about it indicates that 3C is wrong. We're far enough along now that we can tell that any model that doesn't predict warming is wrong. So? It's still getting warmer, and that makes this FUD. Which is more obfuscation. Typical denier. Get over it. Old man schneibo.........take a hike, a lot of us who are serious about our futures get tired so damn tired of your persistently snarky & caustic attitudes. Just because old men like you view this chatroom as your last STOP in life, that doesn't mean the rest of us are delighted to share in your mindless misery. Simply saying the temperature went up is not enough to validate it - if you don't know why it is doing so. But they DO know WHY it is going up; man made CO2 emissions. This the models are vindicated. .....the models are twisted convoluted scrap, probably not unlike the contorted shapes WhyGuy creates with his blowtorch. I've been saying for many years, if we want to save the biodiversity on this planet, and in the process - ourselves, we MUST control the population of humans. The billionaires of the world need to step up to the plate and offer every man who wants one, $1000 (or whatever number) for a vasectomy. DON'T wait for government approval, or ethics debate! yup, time to kill off those ' regressives ' , pound down the USA , MAKE MONEY FOR THE MULTINATIONALS , but rest easy thinking of the Obamas [rainbows and unicorns] in their 16 mill $$ mansion hard at work making 'equality'. Oh and "" dire potential consequences for societal collapse.'' that won't be from CO2 but from the mismangement of the EU. Read Martin Armstrong. This is where the veil is dropped and the socialist world-wide wealth re-distribution plot is revealed for all to see. CO2? Nothing to do with anything. Soviet Communism failed. This is the second salvo of the progressive left. CO2? Nothing to do with anything. And this statement is based on...what exactly? Wisful thinking? This is the second salvo of the progressive left. Climate science has nothing to do with left and right. It's science. Politics doesn't come into it at any point when you're dealing with real facts measured by real instruments and analyzed by real math. Global Warming Hiatus, models failed to predict. Where have the models predicted the last 10,000 years of climate? The models cannot and have not predicted the past, therefore the models are useless in predicting the future, based on man made CO2 which is about 0.0012% of the atmosphere.. There was no Global Warming Hiatus. That has been scientifically been shown to be myth ages ago. Please keep up. Models predict just fine. Good thing most people living in the USA are smarter than those of you living in Germany & most of the rest of Europe. Over there on your darkened surreal continent, you've totally lost the concept of "real math". The masthead of everything you do over there is bannered under Climate Change as your banner of "real math". You've replaced it with the Pop-Sci Culture of Black Hole Math which totally permeates the entire Climate Change culture. All anyone needs to do is look at the results from the news accounts of your Open Borders & dismal economic growth & negative interest rate policies. And you wonder why the USA finds you people surreal? Stop wondering, we're better than you think when it comes to soryting out the "real" from the SURREAL world of Black Math. Gosh, benni, are you okay? We've screwed up the climate, and have to change our ways and stop fouling our nest. Why are you so afraid of cleaning up? It is now practical and beneficial and you can actually SAVE MONEY by doing it!! But first, you have to get rid of your petulance. You haven't been keeping up with the news. There was no hiatus. Repeating alternative facts (read: lies) doesn't make them any less lies. Well, we, Earthlings are not historically destructive in nature. Ancient Egypt based their trade upon human rights, in other words they answered the question what shall we do to satisfy all of us and work with nature? Could go on about distribution of labor; However, there is one universal axiom, not well adapted in the modern world, written in stone, Ancient Egyptian Hieroglyphics, "All human beings are born free and equal in dignity and rights. They are endowed with reason and conscience and should act towards one another in a spirit of brotherhood." We can hardly keep public walls clean! It's unspeakable what the Oil companies have done. We, the sheep, work along with it, giving a greater and greater percentage of our wealth, the ability to actually accomplish equality and change, to Money Grubbers that can't admit when their own house stinks! So we are intelligent to build graphs, but not wise enough to simply reject this systemic BS! Its all related. climate change is only one impact. Ocean acidification, plastic pollution, pharmaceutical pollution is also a byproduct of human activity. So do the AGW deniers also deny the other impacts of human activity? Sure from a society that used slaves for labour. One thing to remember is that most societies exploit their environment to the limit of their technological ability. Hard to destroy the world with a spear and and axe. You appear singularly ill informed about the CO2 observation/connection 'history'; and it makes your 'battle' on this topic baseless. If you HAD known about the history of CO2 science/projections/conclusions, you would have realized that the CO2-climate effects relationship was FIRST noticed many many decades BEFORE it became a politico-religio 'football'. Moreover, the CO2 connection was first noticed by scientists of many industrial/social backgrounds/fundings etc. Please, I again implore you to choose your battles more wisely, lest you undo any good you do in other topics. If you keep bringing in such obvious 'fake news' politico-religio propaganda spiels, it will indicate strongly that your interest is not scientific but political, religious, egotistical....in other words, you will be demonstrating yourself to be/doing exactly what you are above accusing your adversaries of being/doing! Hard to destroy the world with a spear and and axe. So do the AGW deniers also deny the other impacts of human activity? They deny everything that suggests imposing on profits.They accept all the science that generates profits. Lets put the kibosh on all Apple Products and Big Data centers and while we are at it, lets tax the most populous countries by head count. To say that population and Global Warming are connected, is to say the USA is off the hook as we only account for ~5% of the world population. The survival of humanity depends upon increasing forms of energy dense throughput. Artificial Intelligence defines several levels. From rather stupid AIs to AIs with self-awareness. Mankind would belong to this highest level. Unfortunately we have really big problems with estimating the impact of our actions. I think, that's what we have to learn, if we want to survive. This reads a lot like Paul Ehrlich's Population Bomb. It's hysteria not science. Even the IPCC admits that future predictions regarding extremes is not possible. "There is medium evidence and high agreement that long-term trends in normalized losses have not been attributed to natural or anthropogenic climate change… The statement about the absence of trends in impacts attributable to natural or anthropogenic climate change holds for tropical and extratropical storms and tornados… The absence of an attributable climate change signal in losses also holds for flood losses." What does that even mean? You can see in your own home that things are getting more efficient (from your smartphone to your car to your TV to your computer to your heating). You should be using less energy over time - not more. Unless you have a handy anti-matter source, I doubt it. .....the models are twisted convoluted scrap, . And how would you know? Are you like me qualified and have been doing real research making and using mathematical models computer algorithms and designing and running computer simulations with real expert qualifications in all three? No. You obviously have no idea what you are talking about and just making up any crap/lie for your political agenda. Mean while, in science, the models are vindicated. Only after the strike anywhere match was invented. Why do you think there were so many mature pine forests that were prey to the mountain pine beetle? Even now slash and burn agriculture has no effect compared to clearcut logging. Excuse me, what slaves? I'm talking about "Ancient" Egypt, before you learned how to read and write and never learned to read Ancient Hieroglyphs, and you killed the priest that could while also burning the collected intelligence of the world with the library of Alexandria. Not ancient Egypt 10000 years ago and established people, no history. But you know! No it isn't hard to destroy the world with a spear and an axe, that's exactly what the barbarians did while taking the jewels, gold, scientist, as they destroyed the philosophers and set back the discovery of the calculus 1700 years. Why argue a stupid point! Tell me, why the jokes about the sphinx, re. Greeks? Plenty more out there if you can get over your pastoral mythology. Wow, that's a pretty amazing comment about like several thousand years of Egyptian culture compressed as if it all happened overnight. Hey HF, you *do* know that the pyramid builders and the Library of Alexandria were, you know, several thousand years apart, right? I mean, just askin'. It is not so much profits as delusions. They seek validation for their delusions. They need top prop up their psychosis. But what percentage of the world population is engaged with supplying the US and Western Europe with our various consumptions? Far, far more than 5%. lets tax the most populous countries by head count. Since the idea of a tax would (and should) be compensation for damages caused: Let's tax people according to how much damage each one does to the planet. That makes a lot more sense to me than simply going by head-count. The point was Money Grubbers! i.e. Global Warming! Someone claims these always existed. Try Hypatia, see a small example of thinkers during the time of Alexandria. No, Money Grubbing is the reason for Climate change, poverty, ISIS, the Klu Klux Klan, racism, etc..